At 365 scoops we are always up for a challenge! Last week I made birthday cake ice cream, and challenged myself to use skim milk in lieu of cream and half-and-half and I’m still here to talk about it, so obviously it worked fine! Well, today there are not one, but TWO challenges. #2: I am challenging myself, the writer, to make a vegan/soy ice cream to serve as the perfect partner to Kopali Organic’s Chocolate Covered Cacao nibs. Yeah, I am sweating just thinking about it too! In making this recipe I came to learn that there are few reputable and field tested vegan ice cream blogs and recipes. But thankfully in my search I came across two vegan ice cream cookbooks: The Vegan Scoop and the other, wait for it…wait for it…Lick It! Creamy Dreamy Vegan Ice Creams Your Mouth Will Love. Ahem, who in G-d’s green earth named that second book? That is the single worst title I have ever heard. Sorry to be so scathing here, but honestly, it sounds like it should be in an “adult” bookstore, not in someone’s kitchen. Ohy. I’m not complaining here, but this recipe gave me more agita than any other I’ve made so far. Perhaps it was because I am entering new territory with vegan treats, maybe it was because I went to 10 stores before finding arrow root, or perhaps because I have a general aversion to “fake” ice cream. You see, I have such vivid memories of eating “Tofutti Cuties” after dinner as a kid, and feeling like they tasted so incredibly fake and disgusting that I would rather go without dessert. I know that’s hard to believe coming from me, but it’s true. Now as an adult, I am embracing this new chapter in the ice cream making world, grabbing the vegan bull by it’s horns, and diving right in! One more thing before the recipe. 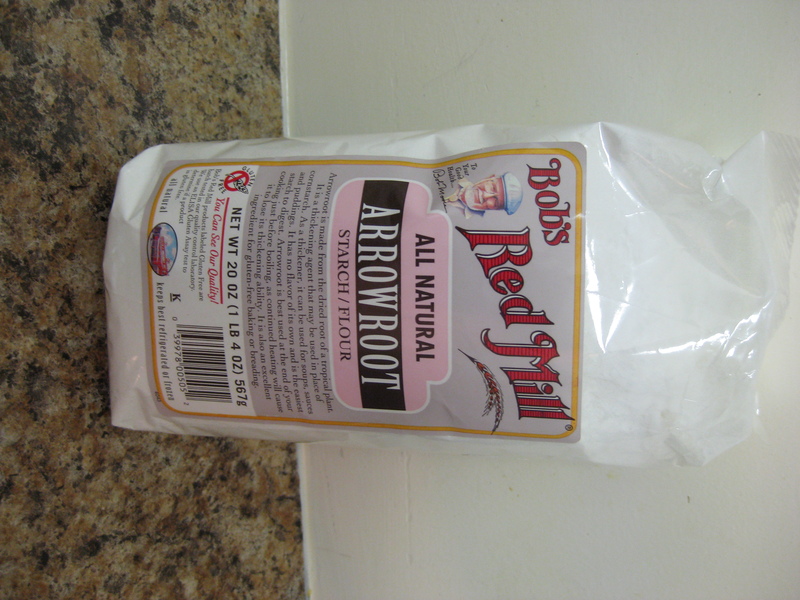 I’m sorry, but I have to kvetch here about arrow root. Let me regale you with how unbelievably difficult it was to find this damn ingredient. I even involved The Husband in this process, and you know that means I was desperate! The infamous arrow root.... was it even worth it?? Without boring you completely, I first went to Williams Sonoma to find arrow root starch, certain that they would have it. Naturally, they didn’t and suggested I go to Whole Foods (luckily it was just downstairs!). I went to Whole Foods and they were out (and suggested instead that I go to Willams Sonoma. Argh.). Then I went to Trader Joe’s – nope. At this point, I called in the troops (a.k.a. The Husband) and asked him to do me a solid and hunt down this damn product. In a moment of desperation I considered using corn starch (which is allegedly quite similar) but much to my chagrin all sources said corn starch is a fine substitute for arrow root starch except for in ice cream and other frozen concoctions because cornstarch doesn’t stand up to freezing. Grr. So from there I called not two, but six more stores. Gristedes (aka highway robbery supermarket) had one small jar left so I sent The Husband there at once. He brought it home and we found that it was expired three years ago! Seriously? I was going nuts at this point. Obviously we did not use it, and I called one more store, to find that yes, they did have arrow root starch, and no it was not expired, and yes they would hold it so that The Husband could schlep 10 blocks to go get it. And he did. And I owe him big time! Sigh. I’m out of breath just from typing that story! After all the schlepping around it was totally worth it for the finished product. 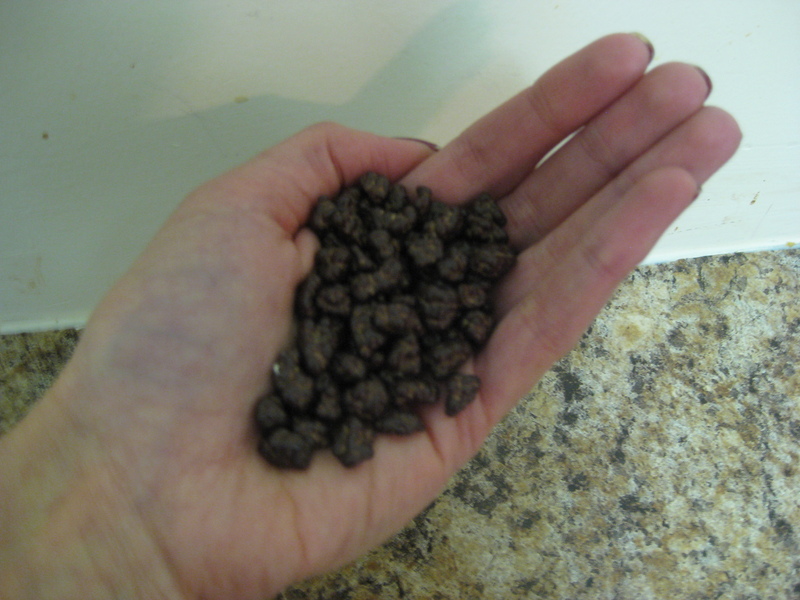 You see, what made this recipe truly perfect (and I think that you’ll be missing out if you don’t add them) are theseKopali Organic Chocolate Covered Cacao Nibs. Simply put, they are irresistible and your soy latte will be too with this topping! Oh, and I should mention that not only does this ice cream taste good, but it’s will also feel good too! When you enjoy Kopali’s organic fruit and fair-trade chocolates you can feel great knowing it’s good for you, good for farmers, and good for the earth! By eating Kopali’s products you are supporting thousands of sustainable farmers and their communities in nearly a dozen countries across the globe. 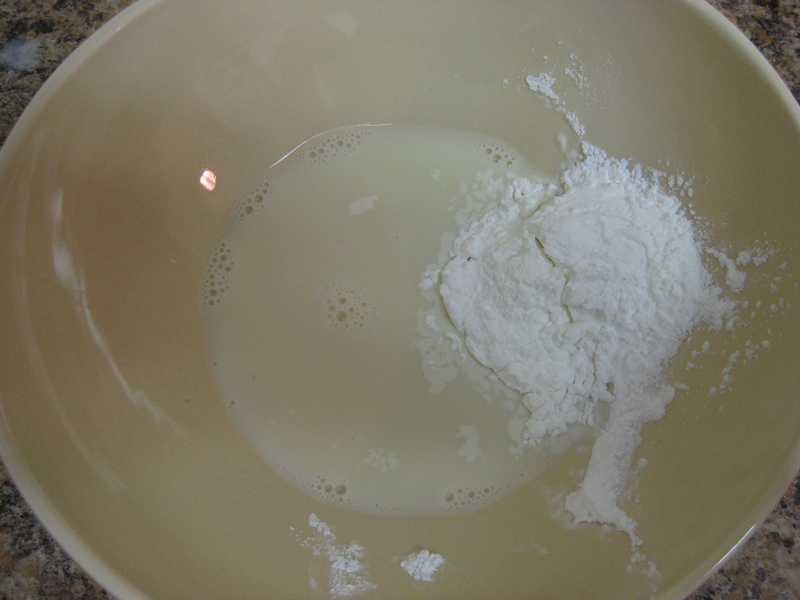 Mix 1/4 cup of soy milk with the 2 tablespoons of arrow root starch. Reserve until later. Whisk the soy creamer, remaining 1 cup of soy milk, coffee and sugar on the stove top until the sugar is dissolved and the mixture is almost boiled. Remove from heat and add the arrow root paste, vanilla and 1/4 tsp of ground coffee. Once you reach the desired taste, cool in an airtight container in the refrigerator, at least two hours. In an effort to cut corners I cooled the mixture in a bowl, and what do you know? The damn mixture spilled in my refrigerator! 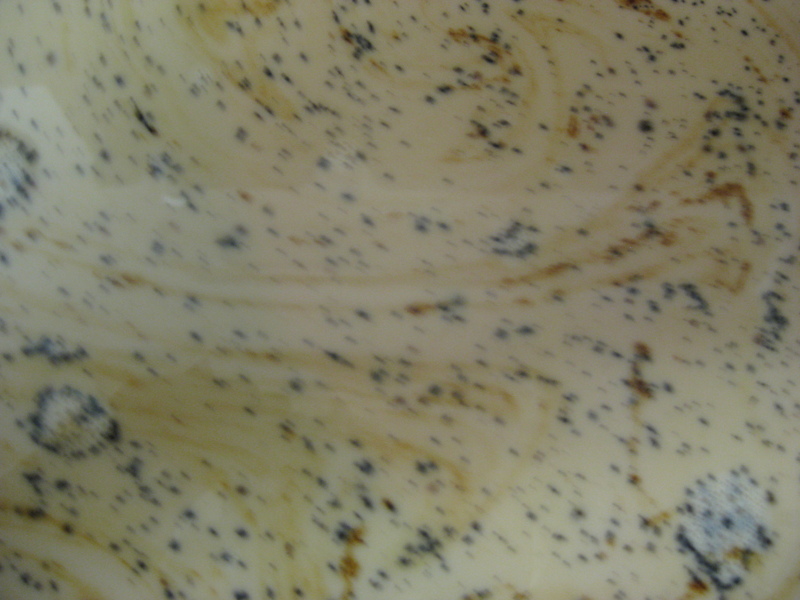 Probably only a tablespoon-full spilled, but it was really sticky and made a huge mess. Word to the wise: don’t cut corners! Put the mixture in a sealed container! Once the mixture is completely chilled, remove from the refrigerator and churn according to the manufacturer’s instructions. For this recipe I churned it for approximately 28 minutes, which is slightly longer than other recipes, but I think that’s because soy milk is by nature a little waterier than regular milk. The ice cream is still rather creamy, so like usual, freeze for a bit before serving. But, because this is made with soy (which is virtually a water base) , it was slightly more icy the next day, so I would suggest serving this one either right out of the ice cream maker or only once after freezing for an hour or so. It tastes better that way. The Kopali Organics chocolate covered cacao nibs! When serving, sprinkle lots of the chocolate covered cacao nibs on top OR if you want, add them about three minutes before the ice cream is done churning and they will mix very well into the ice cream. What a delicious combination! Trust me on this! Me: This was quite good – everyone should try it! I take back everything I ever said about “fake” ice cream. And with the chocolate covered cacao nibs this was a real winner! Yum Yum Yum. Please don’t get angry but…we devoured this ice cream before I was able to take a picture of the finished product. I know, I’m sorry. Hopefully the scavenger hunt and FREE Kopali products will enable you to forgive me! hmm. . . you know that failed chocolate pudding that i turned into ice cream i told you about? it had 1/4 cup of cornstarch, and it froze beautifully. it takes a while to soften up, but i think that’s more due to the lack of cream and eggs.